Earlier this year, the NYU Langone Medical Center launched a new clinical trial led by pediatric neuro-oncologist Dr. Sharon Gardner. The trial is exploring the effects of a new drug on children with a class of tumors that contain a devastating mutation, known as H3 K27M. 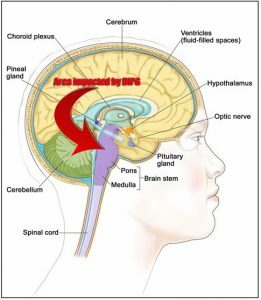 This mutation is associated with one of the most deadly forms of pediatric brain tumors, known as DIPG (the survival rate is less than 1%). It took an extra 6 months, but Congress has finally completed its work on a spending plan for the 2018 fiscal year, which began last October. And the delay was good news for many federal science agencies. President Donald Trump today signed into law a $1.3 trillion spending package that largely rejects deep cuts to research agencies proposed by the White House and, in many cases, provides substantial increases. When it comes to federal research spending, there are “some silly good numbers in here,” tweeted Matt Hourihan, who analyzes U.S. science spending patterns for AAAS (publisher of Science Insider) in Washington, D.C., when the deal was released this past Wednesday. In an analysis, Hourihan and his colleague David Parkes note that the research spending increase is the largest in more than a decade. They estimate R&D spending in 2018 will reach “$176.8 billion, an increase of 12.8% or $20.1 billion above FY 2017 estimated R&D. … [T]otal federal R&D spending would reach its highest point ever in inflation-adjusted dollars. … Basic and applied research funding would receive its largest year-over-year increase since” the 2009 economic stimulus package. The increases were made possible, in large part, by an agreement reached earlier this year to raise mandatory caps on civilian and military spending that gave lawmakers an additional $300 billion to spend this year and next. The National Institutes of Health (NIH) in Bethesda, Maryland, receives a $3 billion, 8.3% increase to $37 billion. That is well above the increase proposed by either the House of Representatives or the Senate in their versions of the spending bills, and a blunt rejection of the 22% cut proposed by the White House. Included is an additional $414 million for Alzheimer’s disease research, for a total of $1.8 billion, and a $27 million boost, to $543 million, for clinical and translational science funding. The NIH increase is “beyond words, folks,” tweeted Benjamin Corb, director of public affairs at the American Society for Biochemistry and Molecular Biology in Rockville, Maryland. The National Science Foundation in Alexandria, Virginia, would get $7.8 billion, a 3.9% or $295 million increase. The agency’s research account would grow by about 5%, to $6.3 billion. The bill notes “this strong investment in basic research reflects the Congress’ growing concern that China and other competitors are outpacing the United States in terms of research spending.” It also endorses the Senate’s call to build three new oceanographic research vessels. 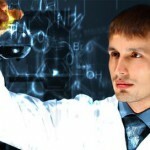 The Department of Energy’s Office of Science in Washington, D.C., would receive $6.26 billion, an $868 million increase. That is roughly a 15% increase, rather than the 15% cut the White House proposed. Lawmakers also rejected Trump’s proposal to eliminate the Advanced Research Projects Agency-Energy, and instead gave it a $47 million boost, to $353 million. A $457 million, 7.9% increase for NASA science programs, to $6.2 billion. The bill increases the agency’s planetary science program by some 21%, or $382 million, to $2.2 billion. NASA’s earth science programs remain flat at 2017 levels, but the bill rejects the proposed elimination of several earth science missions and maintains funding for the troubled Wide Field Infrared Survey Telescope. Overall, NASA gets $20.7 billion, $1.1 billion above 2017. Spending at the National Oceanic and Atmospheric Administration in Silver Spring, Maryland, would grow by $234 million, to $5.9 billion overall. Funding for climate research would remain flat, but the final bill rejects cuts proposed by Trump and the House. The National Institute of Standards and Technology ​in Gaithersburg, Maryland, would get $1.2 billion, $247 million above 2017 levels. The U.S. Geological Survey in Reston, Virginia, gets $1.1 billion, $63 million above 2017 levels. The bill preserves the agency’s eight climate science centers; the White House had proposed cutting that number in half. Research programs at the U.S. Department of Agriculture in Washington, D.C., would grow by $33 million, to $1.2 billion. The budget of the Environmental Protection Agency ​in Washington, D.C., remains flat at $8.1 billion, as lawmakers rejected deep proposed cuts. Making Headway funds a variety of research studies to help identify better treatments and a cure for pediatric brain or spinal cord tumors. Several years ago, Making Headway helped fund a project led by Dr. Uri Tabori, at the Hospital for Sick Children in Toronto. This study seeks to understand the implications of a specific gene, BRAF V600E, in Pediatric Low-Grade Gliomas. Although the paper is quite technical, it showcases both the tremendous complexity of understanding pediatric brain tumors and the significant advancements that researchers are making. Making Headway is proud to help move this science forward by funding innovative and practical research projects. You can download a copy of the report at http://makingheadway.org/published. You can support future projects, by donating to Making Headway. The treatment options for pediatric brain tumors are very limited. New options are desperately needed to improve survival rates and quality of life. Before a new treatment can be approved it must go through a large number of tests and analysis. Clinical Trials are a critical step in which the new treatment option is tested on patients. Making Headway understands the critical role that clinical trials play in new discoveries, and currently funds a Research Manager to organize and manage these trials at the Stephen D. Hassenfeld Children’s Center for Cancer and Blood Disorders. This past year, the Clinical Research Manager oversaw 35 active research projects that are devoted specifically to pediatric brain or spinal cord tumors. Each trial has the potential to discover a new treatment or possibly a cure for these pediatric tumors. Dr. Daniel Reinberg is one of the most respected and accomplished medical investigators in the country and Making Headway has agreed to fund his latest research project. 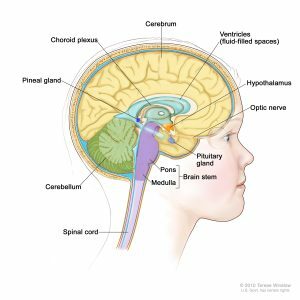 This unique research project focuses on a devastating type of pediatric brain tumor known as Diffuse Intrinsic Pontine Gliomas (DIPGs). Despite recent advances in diagnosis and treatment, the majority of children diagnosed with DIPG die within 24 months of diagnosis. Through a grant by Making Headway, Dr. Reinberg and his team are studying specific compounds that block the ability of certain proteins that bind to a specific epigenetic signature, known as dimethylation of histone H3 on lysine residue 36 (H3K36me2). It’s a lot more complicated than that, but in the end, these compounds are very promising therapeutics for the treatment of this deadly childhood malignancy. Learn more at http://makingheadway.org/research. Chappaqua, NY based foundation funds more than $300,000 in grants for pediatric brain and spinal cord tumor research. Chappaqua, NY – December 1, 2015: The Board of Directors of Making Headway Foundation recently voted to award more than $300,000 in grants to researchers studying pediatric neuro-oncology. NYU Langone Medical Center received four grants. The total amount awarded was $251,242. These grants cover neuro psychology screening and assessment for patients; a clinical trials manager; a pediatric neuro-oncology fellowship for Dr. Devorah Segal; and a human brain tissue bio repository for the purpose of obtaining and archiving tissue samples from pediatric brain tumor patients. These samples will be made available to researchers within NYU and to other institutions at no or nominal cost. 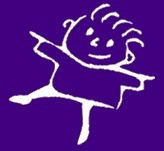 Additional grants were made to Columbia University of New York City and The Hospital for Sick Children in Toronto Canada for $30,000 and $25,000, respectively. The Columbia University grant will be to study the long term cognitive & family aspects of recovery from a pediatric brain tumor and will be conducted by Dr. Stephen Sands, Associate Professor of Clinical Psychology. The Hospital for Sick Children in Toronto, Canada will study the molecular make up of low grade gliomas in children in order to improve clinical decision making. The goal is to enable less toxic therapies for good prognosis patients and improved targeted therapies for children with poor expected outcomes. Drs. Uri Tabori and Cynthia Hawkins will spearhead this project. Making Headway Foundation is partnering with A Kids’ Brain Tumor Cure (PLGA Foundation) on the funding for this study. Making Headway Foundation is now in its 20th year. Founded by Edward and Maya Manley of Chappaqua, NY and Clint Greenbaum of Westhampton Beach, NY, its mission is to provide care and comfort for children with brain and spinal cord tumors while funding medical research geared toward better treatments and a cure. The Founders each had a child who survived a pediatric brain tumor. 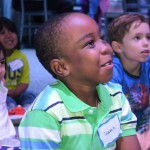 Photo borrowed from Children’s Hospital of Philadelphia website. From our good friends at Kids V. Cancer… This is an excellent way to ensure more funding for pediatric cancer research. Great news. Yesterday, the House of Representatives voted to reauthorize the Creating Hope Act when the House passed the 21st Century Cures Act, H.R. 6. We want to thank Chairman Upton, Congresswoman DeGette and their colleagues for their leadership on 21st Century Cures. 21st Century Cures Act will also increase funding for medical research and innovation at the NIH and FDA, strengthen compassionate use with the Andrea Sloan Compassionate Use Reform and Enhancement (CURE) Act, support the National Pediatric Research Network Act and further rare disease drug development in the OPEN Act. 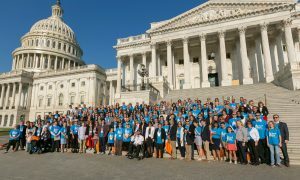 We want to extend a very special expression of appreciation to Congressman Butterfield, Congressman McCaul, and their staff, Saul Fernandez and Andy Taylor, respectively for their leadership in the Creating Hope Act reauthorization. This victory is theirs. The Creating Hope Act has wildly exceeded expectations in providing incentives for companies to develop drugs for kids with cancer and other life threatening illnesses. Sanofi recently purchased a Creating Hope Act priority review voucher for $245 million and three new drugs for seriously ill kids have come to market, including Unituxin by United Therapeutics for a pediatric cancer. We look forward to working with the Senate on the reauthorization of the Creating Hope Act and on the Kids Innovative Drugs Initiative which is designed to increase access to drugs for pediatric cancer research. In that regard, we also look forward to engaging pediatric oncologists to help them access drugs for their own preclinical and clinical research. It takes many different approaches to raise the funds necessary to cure pediatric brain cancer. The state of Missouri created a Pediatric Cancer Research Trust Fund under the newly enacted Sahara’s Law. It had an excellent first year. Maybe New York could be next?